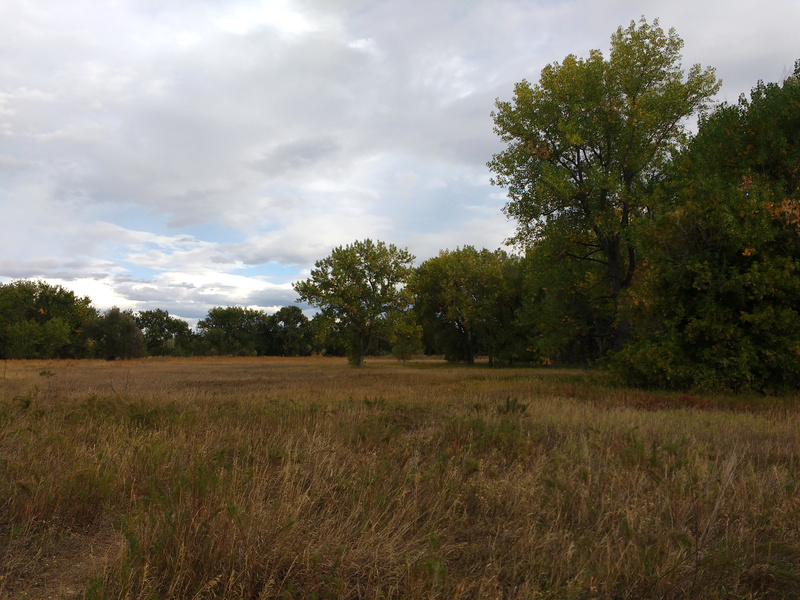 Free high resolution photo of a meadow surrounded by trees. This picture shows a meadow filled with tall grass. The picture was shot in the early autumn and you can see some of the tree leaves just starting to turn. Photo shot at Chatfield State Park in Littleton, Colorado. Free image for any use.